A Short Walk – Grab a cuppa, tell a story or listen to one. So often I travel or else keep dreaming about traveling. Nothing excites me more than discovering new places and at times revisiting old one’s. Old Delhi is one my favorite tourist destination places. I go there for a walk so often. There is a constant urge to walk through the lanes next to Jama Masjid. Every other month I feel like driving down to Pushkar in Rajasthan, another one of my favorite destinations. Travel, travel and more travel, that is all I dream of. But strangely enough, there are a few short distances I have never been able to travel in a long time. It took me around fifteen years to go a few kilometers and revisit my school. 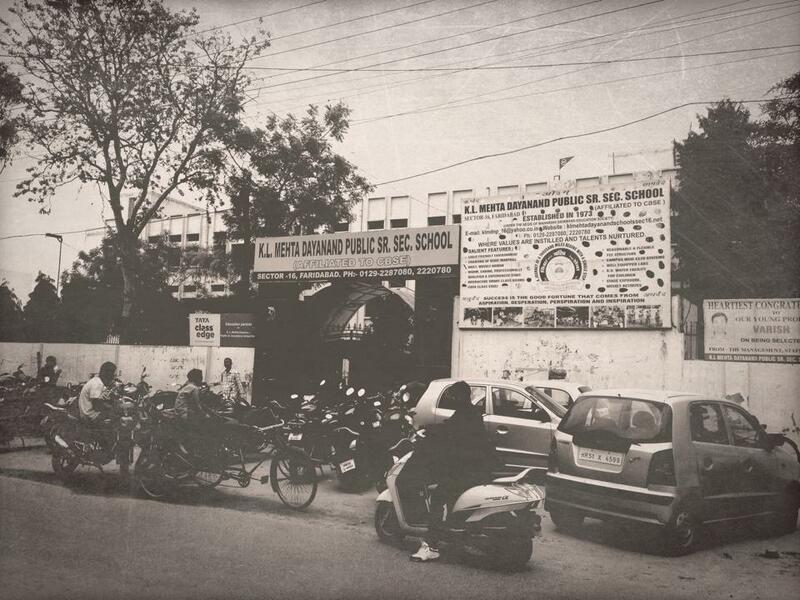 The school from where I completed my studies in 1993. The last day of school, I left the school building feeling like a loser after seeing my marks/grades from my high school board exams(the final graduating test). And that was the day I decided to walk out and walk away, never to turn back again. Life has been colorful ever since. The good came with bad, hiding here and showing up there. But most of it has been good. And I had been intentionally trying to go as far as possible from my school days. Often I would meet old school friends, share emails, at times a bottle of beer but I would make sure that I never stepped back into our old school. I was scared to travel that little distance to my school for years and eventually I forgot about making a visit. I used to cross the street look at the building, smile at myself, but never entered the gate. Years had past since. The color of the building had changed. The color of the uniform had changed. Students had changed. So had the principal. The man selling ice-cream outside the school had changed. He had lot more gray hair but I could recognize him. What else changed, how would I know if I never entered the building. What was I avoiding? I did not clearly know. After years of hide and seek, one day I finally gathered the courage to walk through those gates again. I walked all around the campus, met some of my old teachers. Some remembered my face, though they had mostly forgotten me. A few of them remembered me by my name. The teachers looked different too but the warmth they showed me made it feel like it was just yesterday that I was a student of this school. The corridors were the same, the rooms were the same, the benches were the same. The lab assistant, the gate-keeper,the play ground, everything was the same. Nothing had changed. It was the same old school. But that day, I had changed. I was no more scared of my teachers. I had no more fear of the play-ground. The stuff written on the black boards were no more of a confusion to me. I was finally able to overcome it all. Yes, at the end of that short walk, it felt only I had changed. And everything else remained the same.